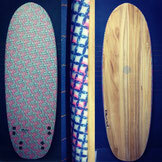 Made for Luis who wanted a board not made by FW anymore, "the Double Agent". 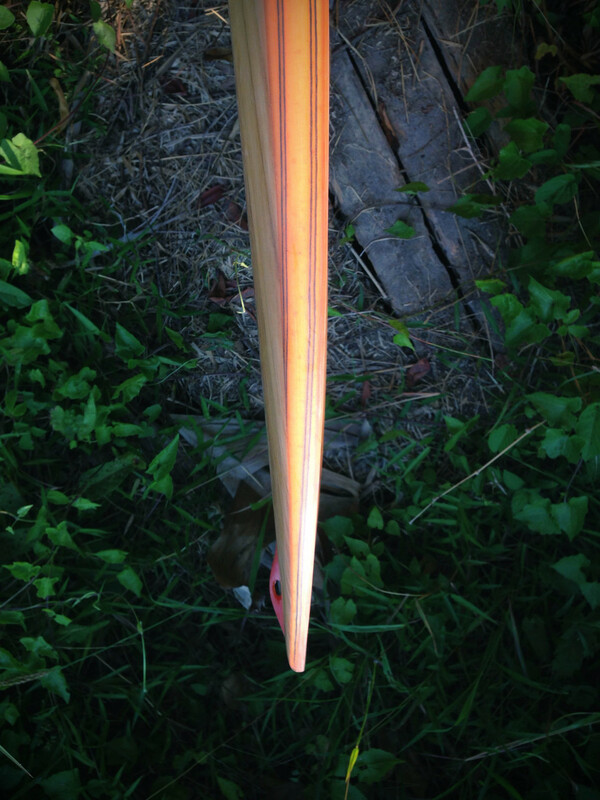 We collected as many infos we could and I came out with this. 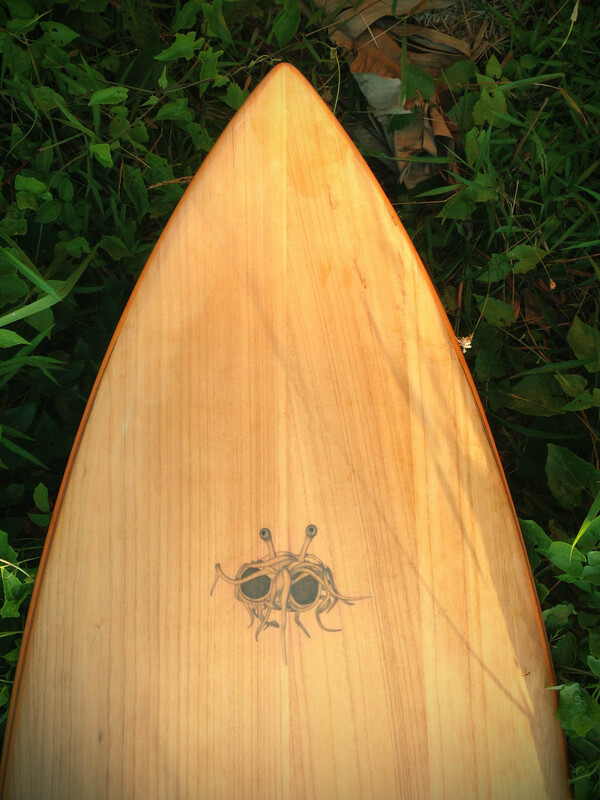 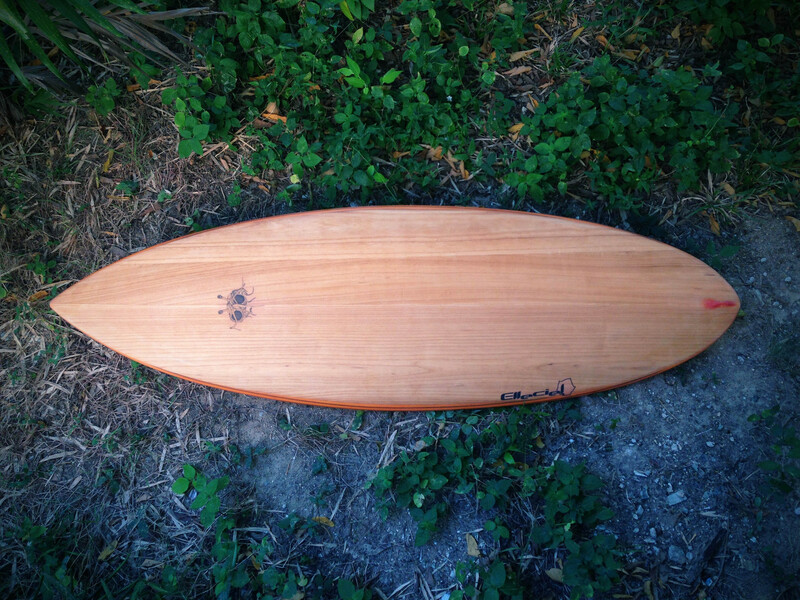 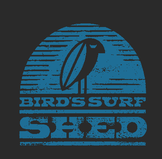 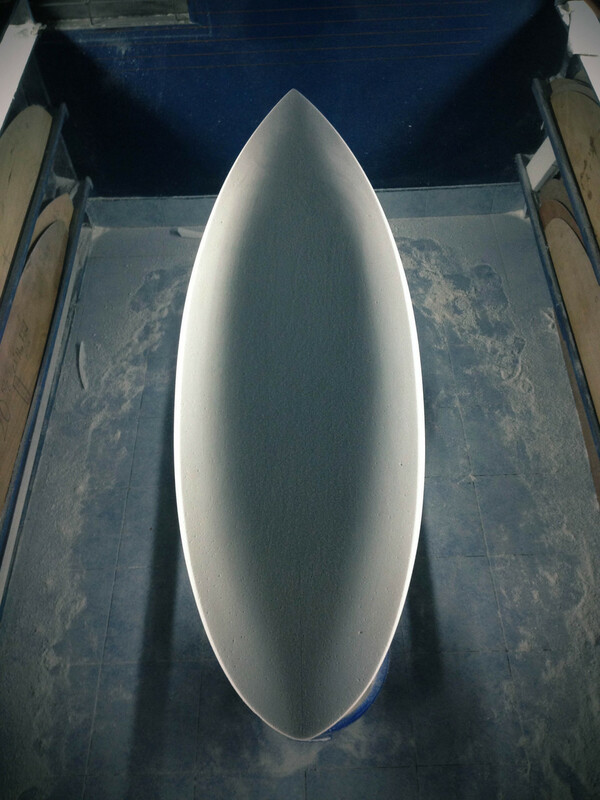 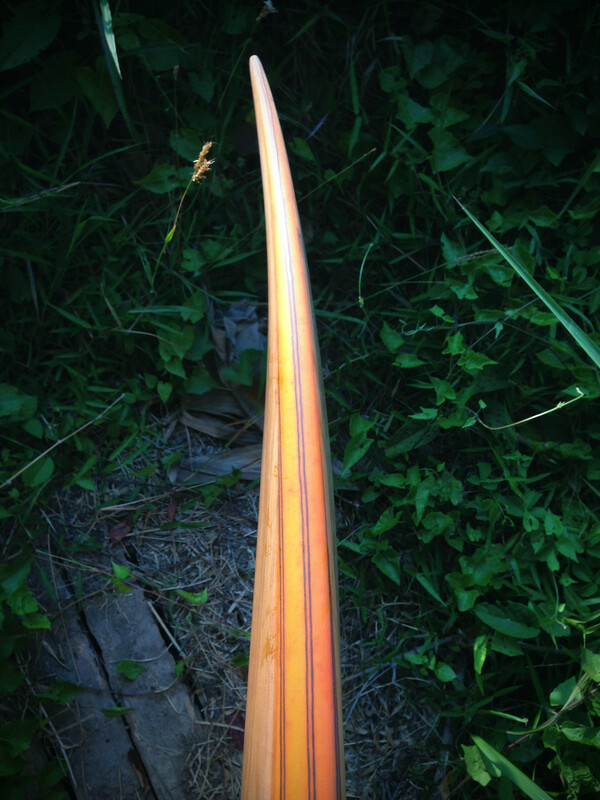 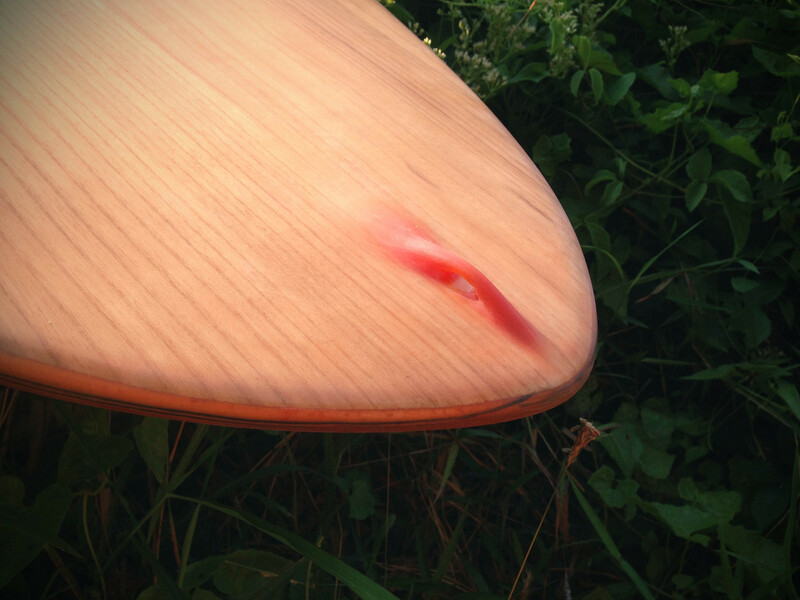 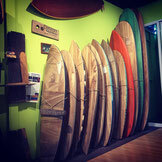 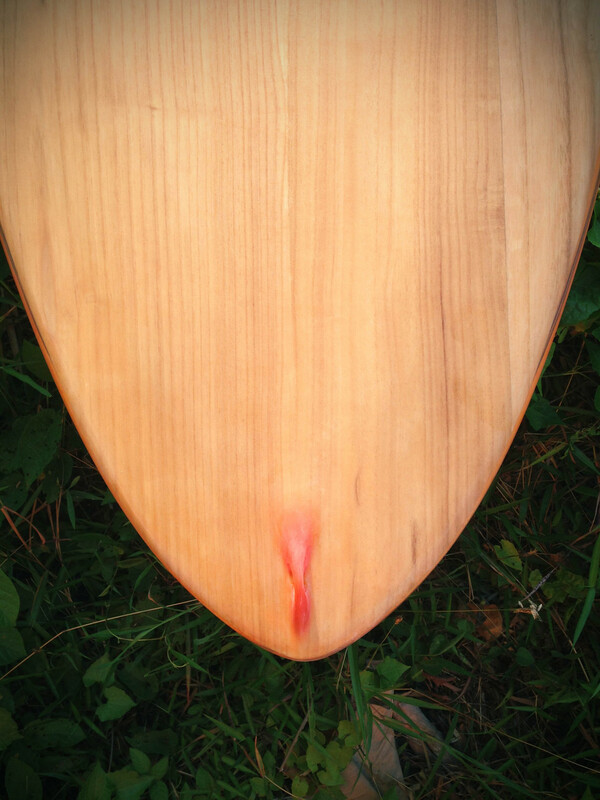 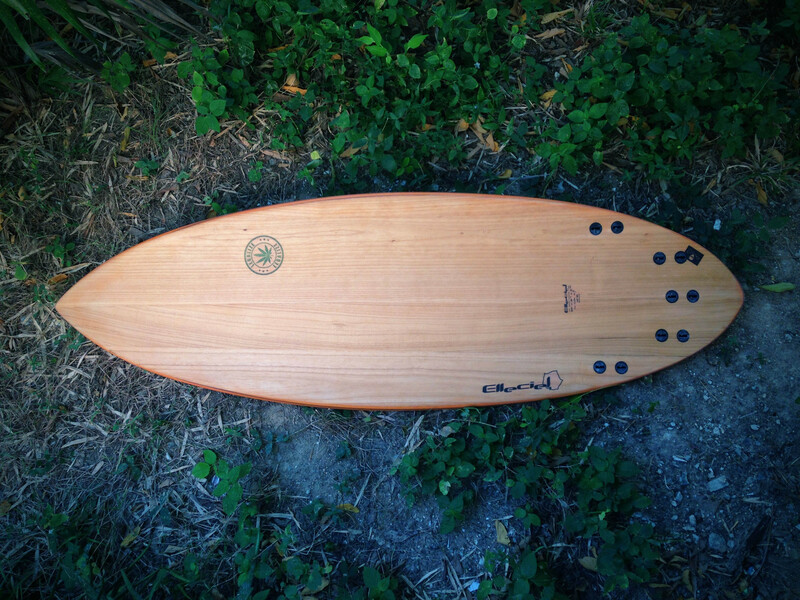 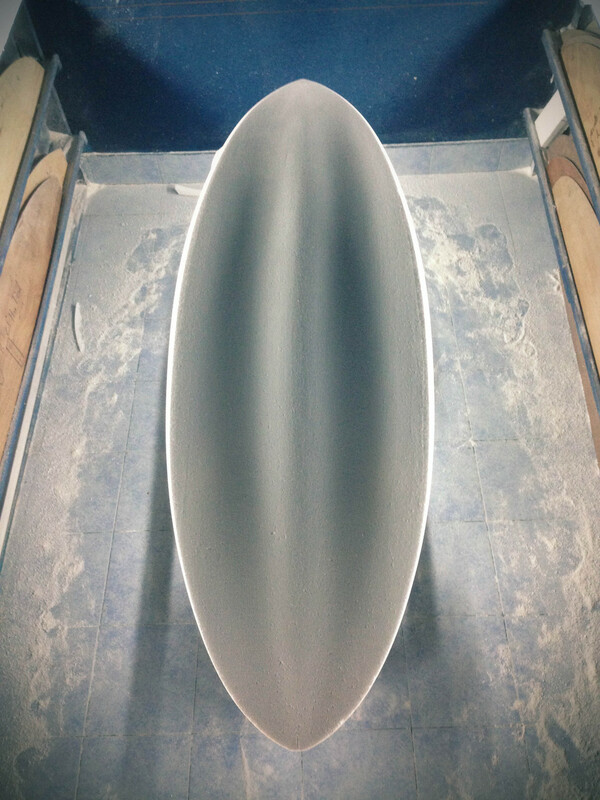 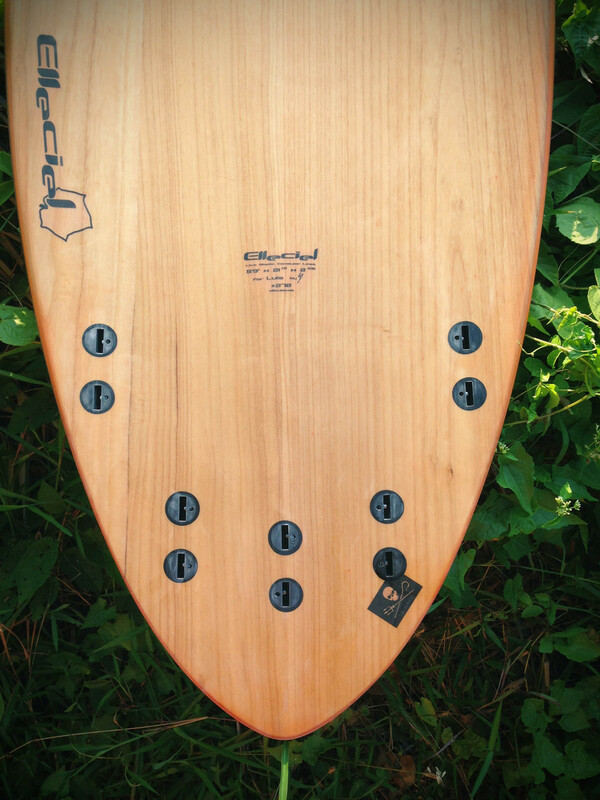 Deeeep double concave, nose and tail rails pinched, five fins setup, subtile deck concave. 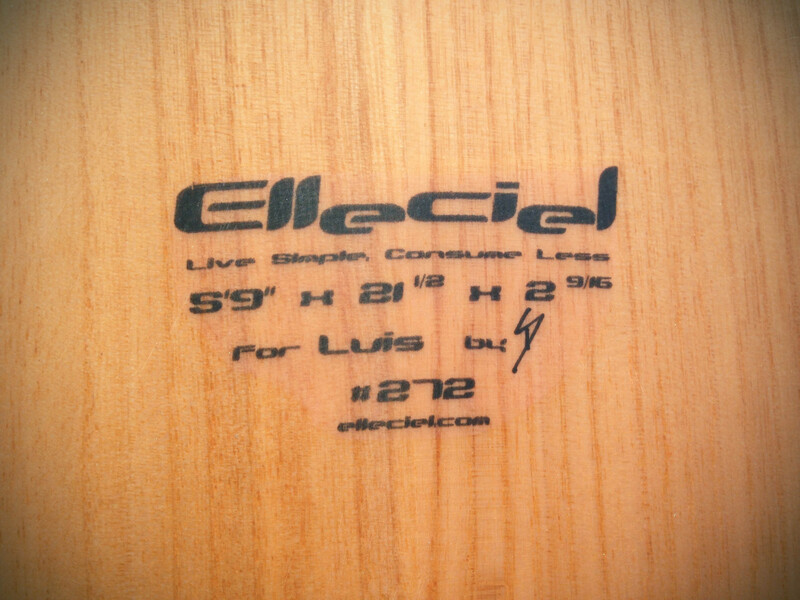 Innegra rails, paulownia wood glassed with orange pigment and Luis' logos.